Project Management: City Design Group, Bristol City Council. Lead Consultant/ Architects: Purcell Miller Tritton. M & E engineer: Integrated Design Partnership. Lead Ecologist: Wessex Ecological Consultancy. The Landscape Institute’s Heritage and Conservation Award, 2010. RIBA South West Town and Country Design Conservation Award, 2010. Bristol Civic Society Environmental Award, 2010. English Heritage Angel Award, 2011. The 17ha site is located on steep hillside 2km south east of Bristol’s city centre to the south of the A4, Bath Road. The site is located in the Arnos vale conservation area and has considerable ecological and heritage importance. Arnos Vale Cemetery was originally privately owned and in a state of neglect. The owner planned to sell the site for commercial development, which was fought against by the Friends of Arnos Vale. In 2003 the site was compulsory purchased by the Bristol City Council and the Arnos Vale Cemetery Trust was set up to restore and protect it. The restoration of the site included 4 listed buildings and tombs, regeneration of footpaths, eradication of invasive Japanese knot weed and management of existing secondary woodland. The landscape management plan focuses on conserving the existing grassland and woodland habitat and improving them to benefit wildlife. This includes rotational cutting of scrub and bramble and thinning the woodlands to allow more vegetation below. The management is split into tasks which can be carried out by community volunteers and tasks that need to be tackled by forestry contractors. Many parts of the cemetery have been purposefully left unmanaged and are now havens for wildlife. There is now a café and one of the restored buildings is used as a conference space for environmental education and research. It is now a self-sustaining business gaining income through educational events and producing logs and charcoal. Can be used in areas with heritage sites that need to maintain existing woodlands. It is important to harness the community and volunteers for help with the management of GI. It is possible to find innovative ways for GI to become self-sustaining and generate income. The total cost of the regeneration project was £9 million, with £4 million from the Heritage Lottery Fund and £2 million from Bristol City Council. 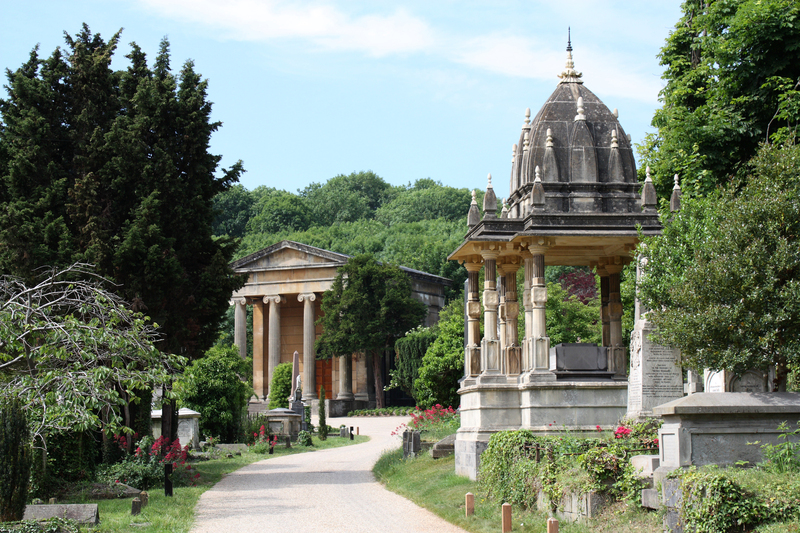 Further funding came from English Heritage and Arnos Vale Cemetery Trust.